The Green New Deal failed to pass a procedural hurdle in the Senate on Tuesday, with Democrats denouncing the motion as a "sham" and largely voting "present" as a show of unity. 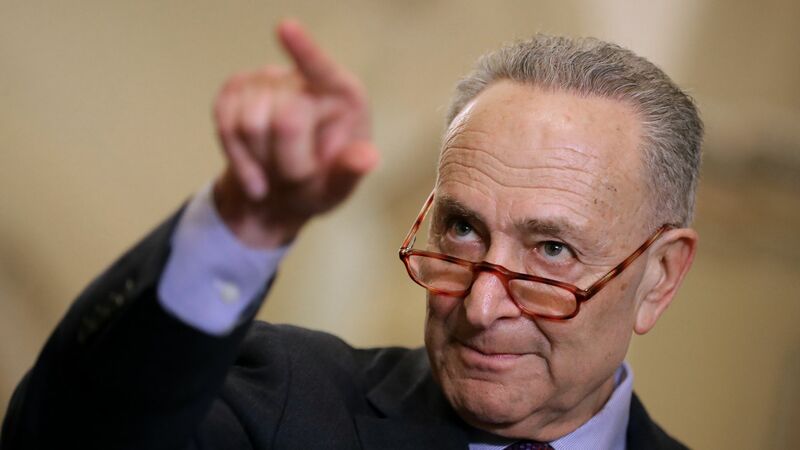 Between the lines: Senate Majority Leader Mitch McConnell brought the vote in a political effort to get Democrats on the record and highlight intra-party divisions over the ambitious proposal. Democrats have argued McConnell held the vote in order to eliminate any debate, hearings or public testimony about the resolution, which many see as a starting point for addressing the threats posed by climate change. 43 Democrats voted "present." Sens. Joe Manchin (W.Va.) Kyrsten Sinema (Ariz.), Doug Jones (Ala.) and Angus King (Maine) — who is an independent but caucuses with Democrats — voted "no."